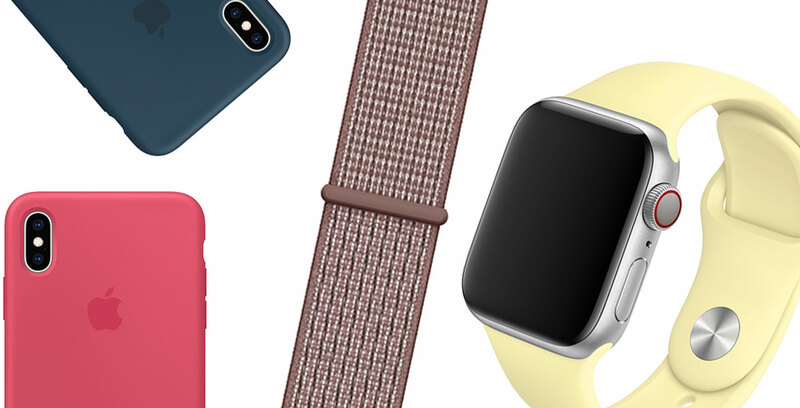 Apple launched three new case options for the iPhone XS and XS Max alongside nine new Apple Watch straps. The silicon cases and watchbands come in three colours: ‘Mellow Yellow,’ ‘Hibiscus’ and ‘Pacific Green.’ To my eye, the Pacific Green colour looks more blue than green, however. The cases cost $55 CAD individually and the bands cost $69 CAD individually. The other watchbands are Nike Sport-styled bands, and they now come in Teal/Black, Olive Flak/Black and Smoky Mauve/Particle Beige. These bands cost $69 as well. There are three new Nike Nylon bands that also come in ‘Teal,’ ‘Smokey Mauve’ and ‘Olive Flak.’ These bands also cost $69.